Our Black Matte Flask and Shot Glass Gift Set makes the perfect gift for your next celebration! 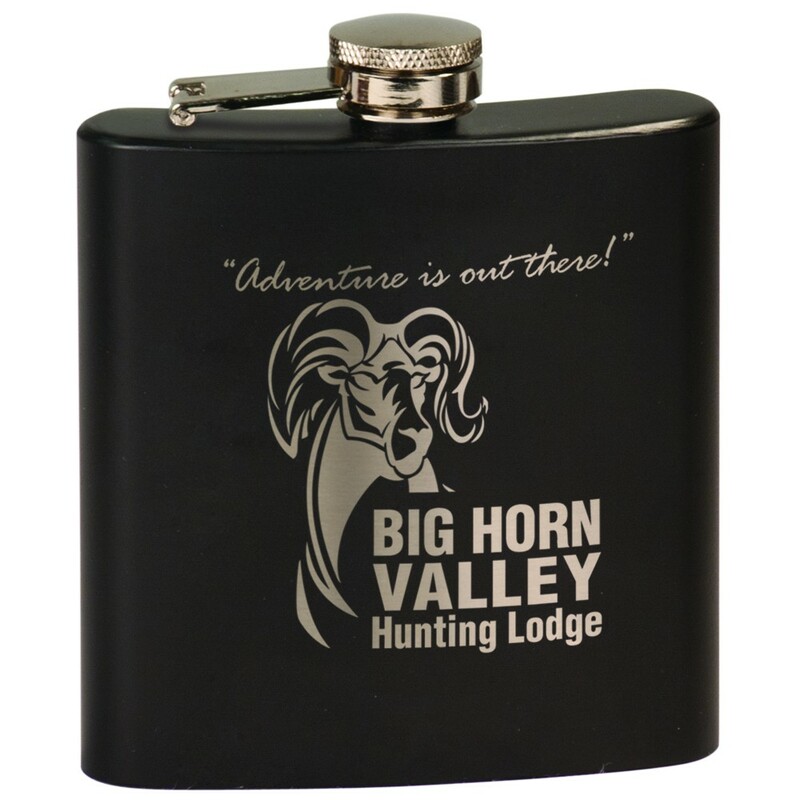 This set includes a matte finished 6 oz black flask, engraved with your personalized message, along with 4 matching shot glasses and a stainless steel funnel for easy filling. All is packaged in a black gift box. 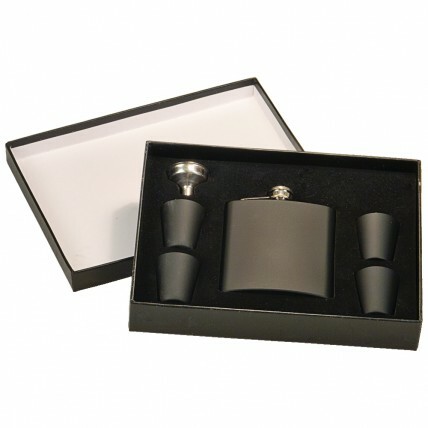 Black makes a good choice for bachelor parties, fraternities, or groomsman. Box: 6 3/4"; Flask:4 1/4"